Whether you opt for a sapphire center stone or a ring with sapphire accents, this rich blue gem is worth getting to know. It’s no wonder sapphires have been one of the most popular precious gemstones for centuries—they’re a natural choice for your “something blue.” They’re also considered one of the “Big Four” of precious jewels, alongside rubies, emeralds and diamonds. 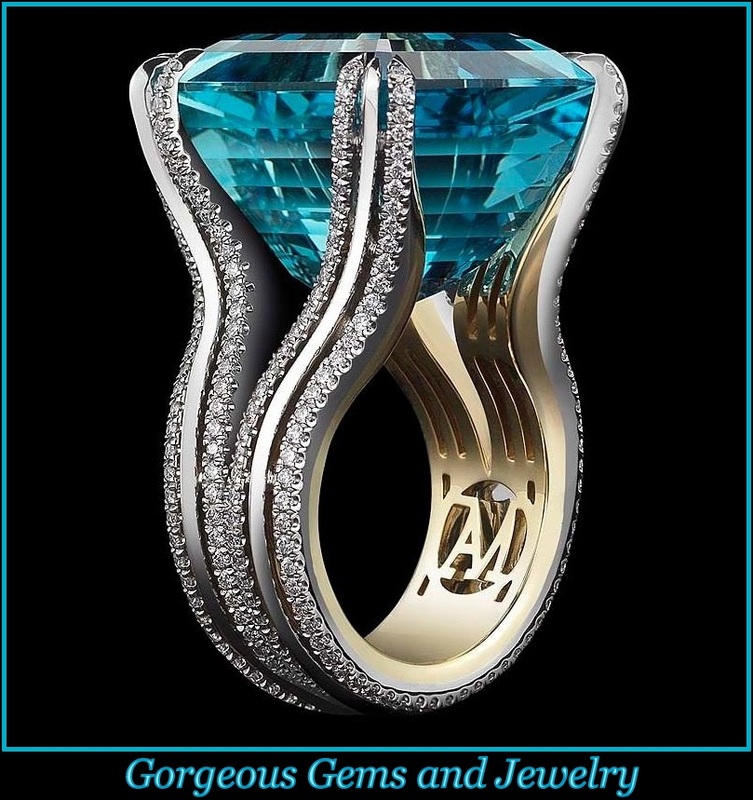 These durable stones appeal to jewelers because they have a hardness of nine on the Mohs scale (diamonds are a 10), according to Mark Broumand, founder of Mark Broumand. If you’re looking for a sturdy center stone or unique accent stones, this precious gem may just be for you. In ancient cultures, sapphire talismans were thought to have strong medicinal and protective powers, says Yehouda Saketkhou, CEO of Yael Designs. Symbolizing honesty and wisdom, sapphires soon became the preferred gem of medieval royalty and clergy. Kings even wore them when they signed treaties as a symbol of good luck. In modern day, sapphires give off vibes of old-world romance. They’re the traditional gift for a 45th wedding anniversary, and just so happen to be the engagement ring of choice for the British royal family. After all, Kate Middleton‘s stunning 18-carat sapphire engagement ring was originally presented to Princess Di (can you think of a more amazing heirloom?). While some of the most valuable sapphires in history were mined in Kashmir and Myanmar (Burma), these days most of the world’s sapphires come from Sri Lanka and Australia, says Douglas Hucker, CEO of the American Gem Trade Association. Since Sri Lanka has been producing sapphires for thousands of years (like the Logan sapphire, one of the largest sapphires in the world), you’ll pay for the historic connection, Hucker says. There are also smaller artisanal mines that use old-fashioned techniques (read: digging and sifting for stones by hand) in Madagascar. Though production in this developing country is spottier than in others, some of the sapphires produced there are just as high quality as those from Sri Lanka. Though not as valuable, sapphires are also mined in Montana. Sapphires occur in a rainbow of hues, but the blue ones are the rarest and most valuable. It goes without saying that the most important quality in a blue sapphire is the richness of its color. A perfect sapphire will be cornflower blue without any modifying colors, such as gray, green or black, which might make the stone look inky or change its hue, according to Hucker. 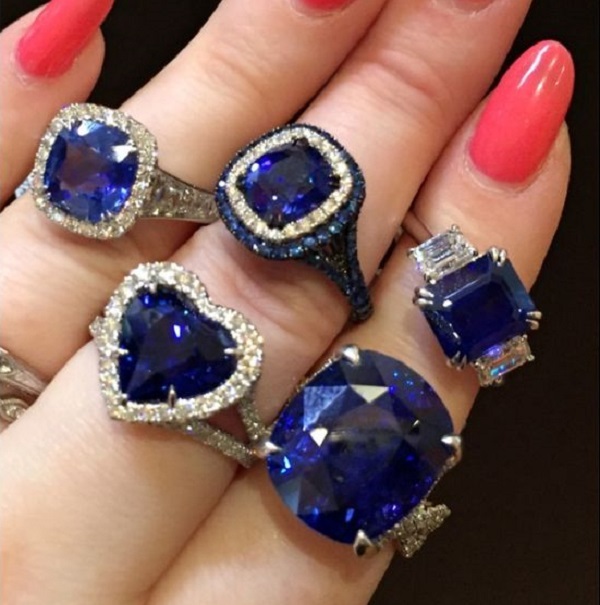 While a rich blue sapphire will be pricey, sapphires that aren’t blue (called “fancies”) are a great option if you want the unique appeal of a colorful center stone but don’t want to splurge on a pink or yellow diamond. The cut of a sapphire isn’t as important as the cut of a diamond, because it’s harder to see inclusions in darker stones with the naked eye. No matter the shape of your stone (as long as it’s symmetrical), the color should look even with a consistent sparkle. An oval-cut one has an heirloom feel, while a round bezel setting gives off a more modern vibe. No standardized quality-grading system exists for colored gemstones, but it’s rare to find a natural sapphire without inclusions. Don’t worry about finding a flawless stone—as long as there aren’t severe dark inclusions, you’re good. There’s a sapphire for every skin tone, according to Sylvie Levine, founder of Sylvie Collection. Sapphires with pastel undertones will complement lighter skin tones. Classic royal blue ones will pop against more olive complexions. Deep cobalt stones will create an amazing contrast against dark skin. Some sapphires are found closer to thermal venting in the earth, which produces saturated color thanks to natural heating. More commonly, sapphires are treated with heat to enhance the richness of their color. Naturally vibrant sapphires that don’t require any heat treatment will command a premium price, but they’re also very hard to find, says Deirdre Featherstone, founder of Featherstone Design. Before you obsess over finding an untreated sapphire, know that heat treatments are permanent and don’t affect the quality. In some cases, they can strengthen the chemical makeup, Hucker says. Pro tip: Make sure you’re dealing with a reputable jeweler who uses standard treatments—not nonstandard ones like dyeing—before you buy. Though sapphires are durable, they require special care. Grace Terezian, creative director of Kirk Kara, recommends using warm water, mild soap and a soft-bristle toothbrush for everyday cleaning. Take your pieces to a jeweler for an in-depth cleaning at least once a year. If you own an estate piece, have your jeweler check the security of the stone once and a while—prong settings can loosen over time.